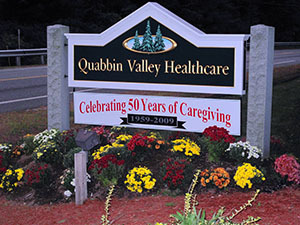 The pulmonary program at Quabbin Valley Healthcare is the most comprehensive skilled program in the North Quabbin area. Our program is led by a team of qualified respiratory therapists and nurses, and overseen by board-certified pulmonary physicians. We employ a multidisciplinary approach that also includes physical and occupational therapists, a dietitian, social services, recreational services, and a care coordinator. You will not find this type of program at any other skilled nursing facility in the Athol region. When you need extended care services after a hospitalization, it is your decision where to go. 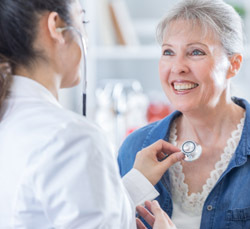 We know you will have a more successful outcome with the right care management program in place, with you at the center of that treatment plan. Ask your hospital case manager, social worker, or physician to have Quabbin Valley assess your medical situation and talk with you, your family, and caregivers about the Pulmonary Rehabilitation Program at Quabbin Valley. We will send a facility representative to visit with you at the hospital and talk with you about the program and your plan of care. It’s the best way to make the right choice.